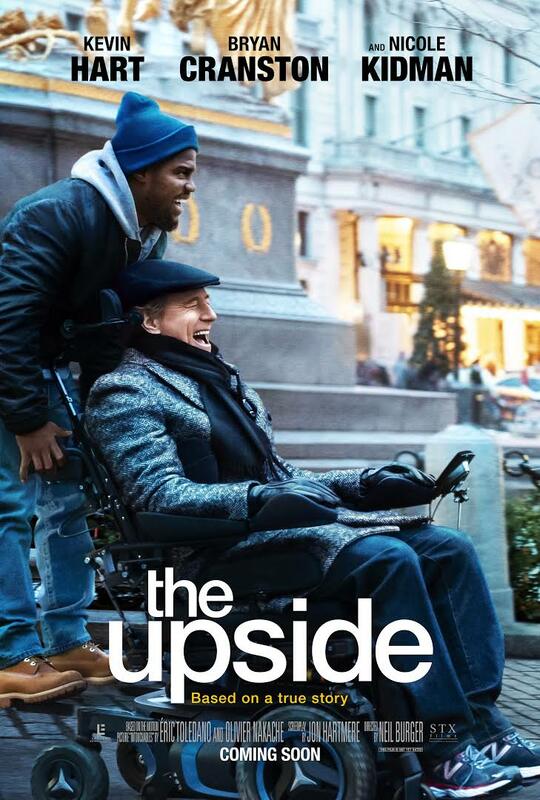 This is a remake of a French film called The Intouchables, which was a huge hit back in 2011. Based on the true story of wealthy Corsican French businessman, Philippe Pozzo di Borgo, who is the Director of Pommery champagne house, this takes the events of his life, and adapts them to an American setting. Di Borgo was paralyzed in a paragliding accident in 1993, and here Bryan Cranston portrays Phillip, a character based on him. When his assistant Yvonne (Kidman) is looking for his new carer (or ‘life auxiliary’ as they call it here) Dell (Hart) inadvertently stumbles into the interview. Although he only wants a form signed so he can claim his income support, Phillip is drawn to the straight-talking, recently-released criminal, and offers him a job. With no experience of looking after anyone else – not even himself – Dell learns on the job, and the two forge an unlikely friendship that gives Phillip a new lease of life. If that all sounds very cosy and heart-warming, it’s because it is. This film really wants you to like it, and it shows. Burger takes the sentiment, and dials it up to the max. We are constantly reminded of all that he has lost – including the death of his wife (the real Philippe’s wife did indeed also die of cancer). There are attempts to inject humour, as Dell comes to grips with the care regime Phillip requires, however, these interludes are also a bit uncomfortable and ill-advised at times, and almost feel like they are making a mockery of Philippe’s disability. I’m sure that wasn’t the intention, but there are more than a couple of cringe-worthy moments. At its heart, this is a buddy-movie, and Cranston and Hart do work well together. Cranston does a wonderful job as Phillip (although he has been criticised as an able-bodied actor for taking on a disabled role) but he is never really given much to work with, other than frustration or anger, aside from the ‘humorous’ interjections. Hart, well he pretty much plays Hart. I will confess to not being his biggest fan, and this did nothing to convert me. This feels like it’s influenced by films like Trading Places, and Pretty Woman, rather than Philippe’s own story. The characters are incredibly clichéd, as are many of the scenarios, and the story never really goes anywhere. It just plods along to the inevitable shiny, happy, conclusion. It will leave you with a touch of the feel-goods, but it’s almost as if you were manipulated into that. It’s not a bad movie. It’s just done by numbers, rather than attempting to push the envelope. If you want a better insight into the real story, watch the original (although even that took a lot of dramatic licence). If you just want a couple of hours of non-taxing viewing though, this will do the job. On review aggregator Rotten Tomatoes, the film has an approval rating of 45%, based on 22 reviews, with an average rating of 5.7/10. On Metacritic, which uses a weighted average, the film has a score of 50 out of 100, based on 9 critics, indicating “mixed or average reviews”.